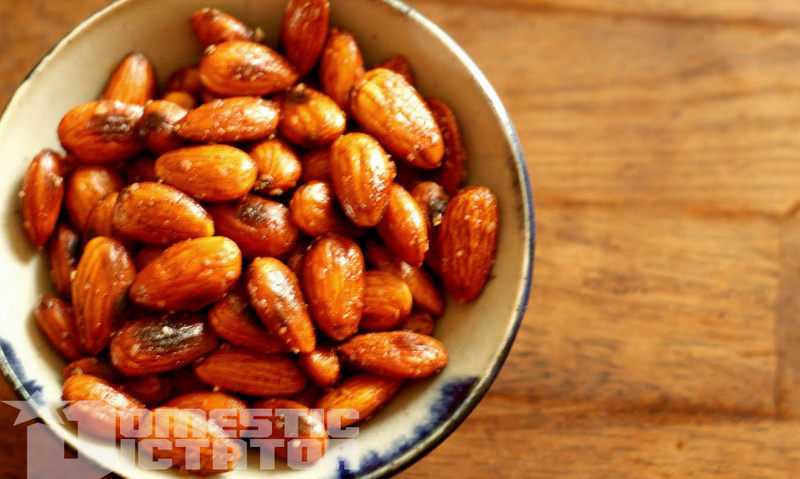 Toss almonds with chili oil and 1 tablespoon salt. Spread over parchment. Roast for 10 minutes, toss almonds, and toss for another 10. Taste for saltiness. These should probably be stored in an airtight container in the fridge, for no longer than a month. You might be able to get away with storing them in a cool, dark pantry. The fat content of the almonds as well as the oil may cause them to go rancid. Be safe and go with the fridge.